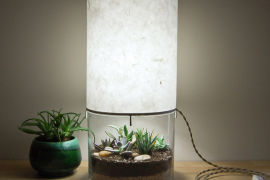 A few simple, affordable supplies take this project to the next level. 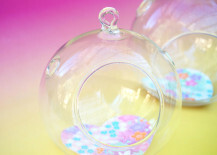 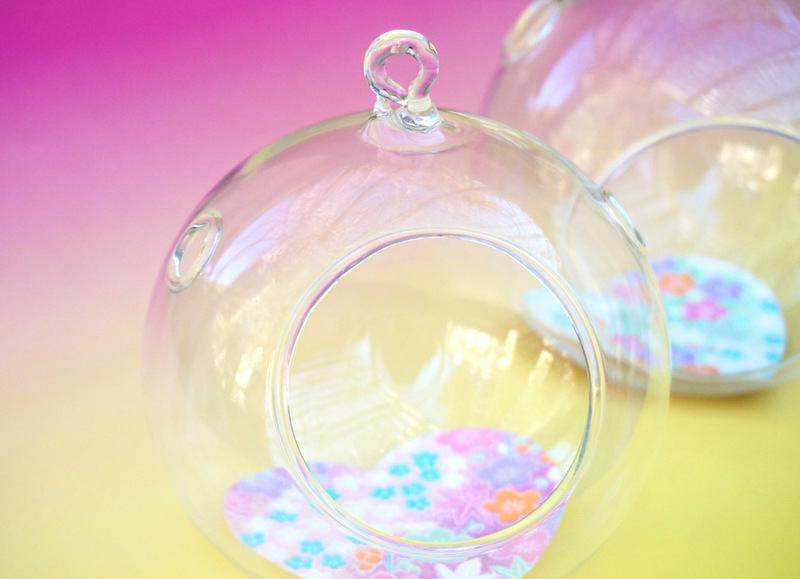 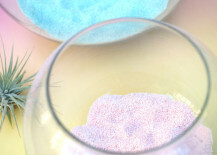 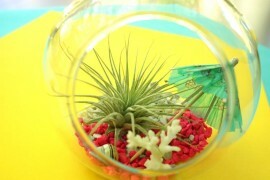 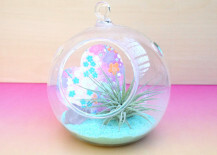 Plus, you can customize your terrarium with the favorite colors and motifs of your loved one. 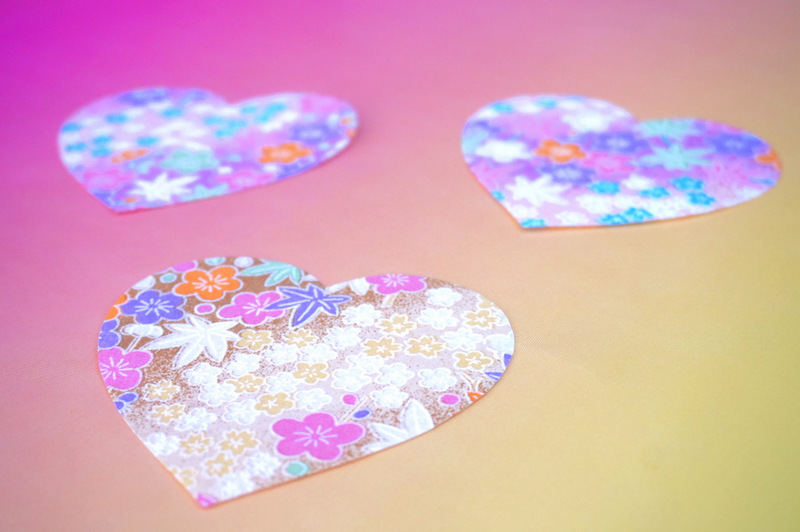 Step 1: Cut a heart from the origami paper. 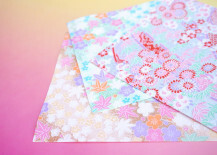 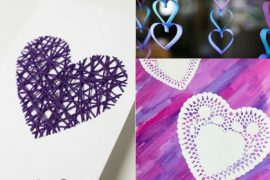 To make this step a snap, you can print and cut out a template that you find online, which will create a stencil. 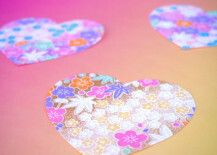 Trace the heart onto the back of the origami paper and cut it out. 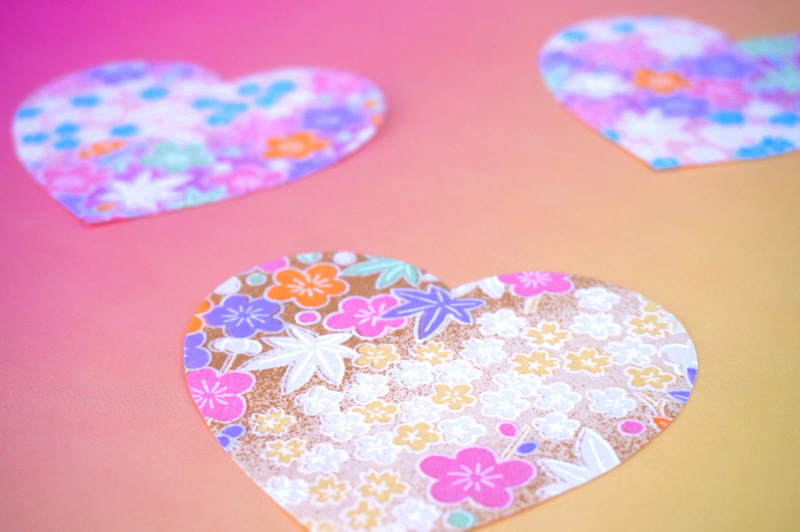 You may wish to trace and cut out a cardboard or cardstock heart and glue the origami paper heart to it for extra reinforcement. 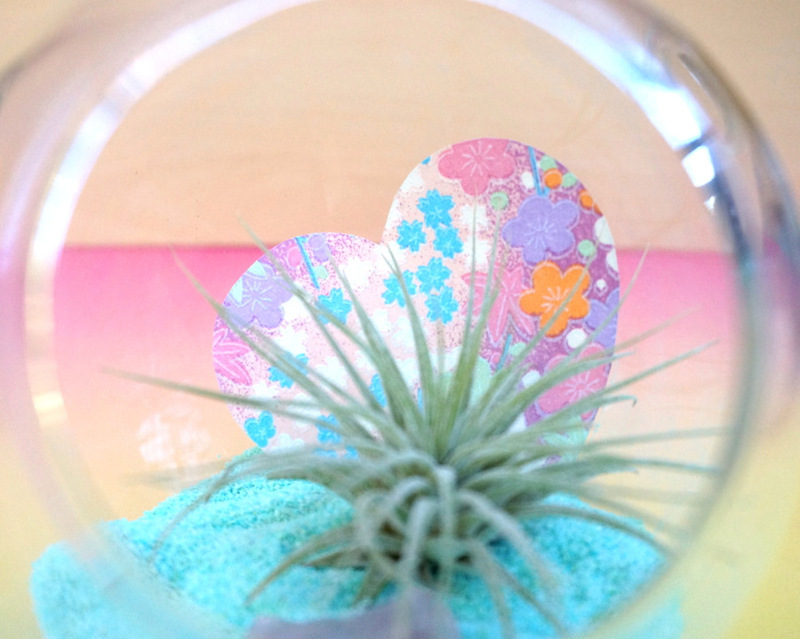 Step 3: Place a paper heart at the back of the terrarium. 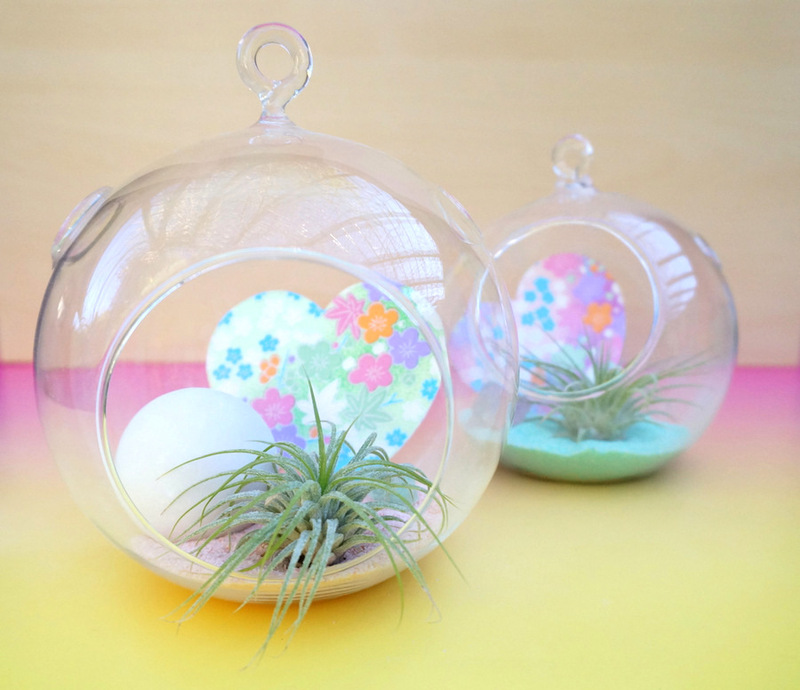 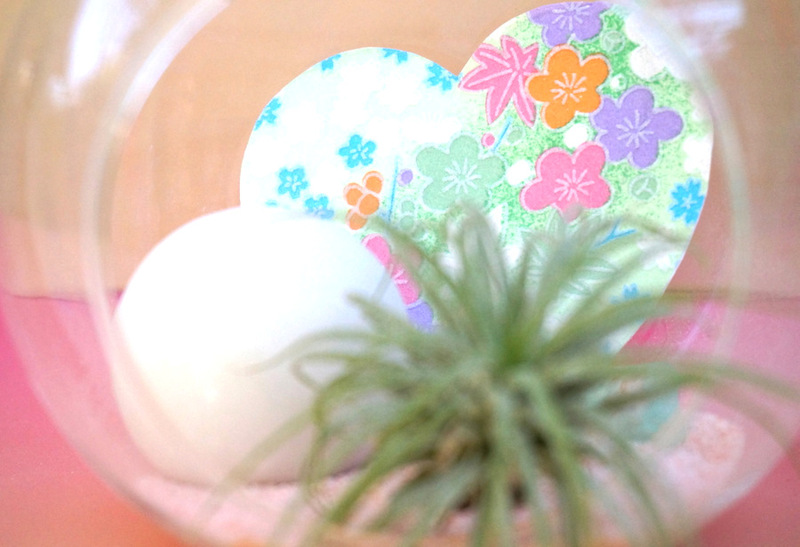 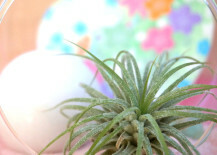 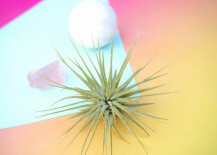 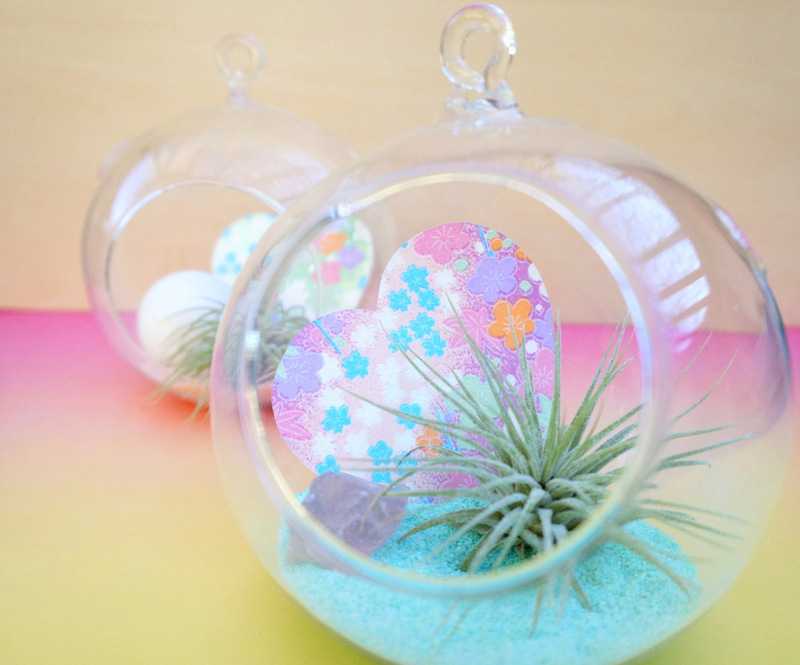 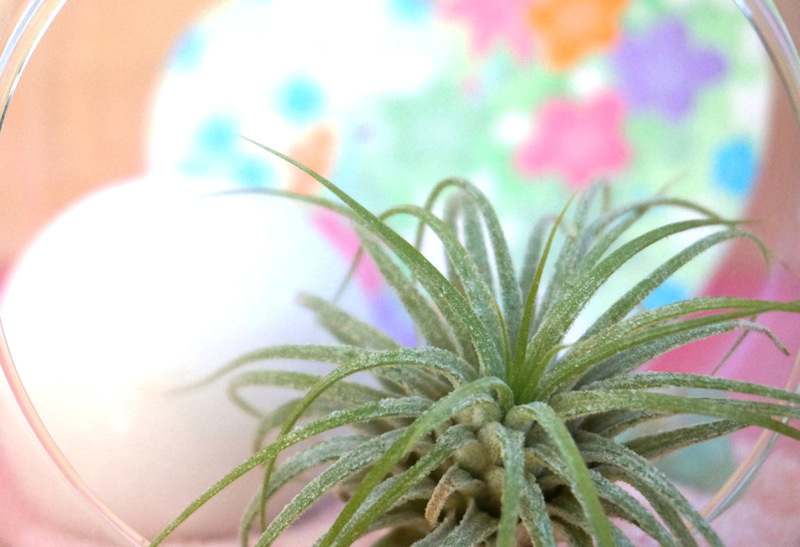 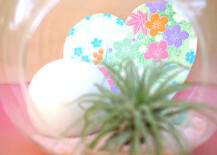 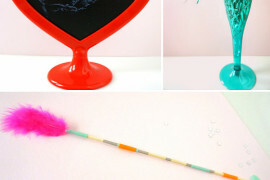 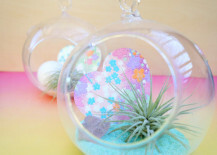 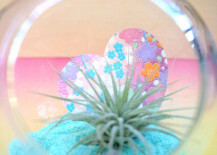 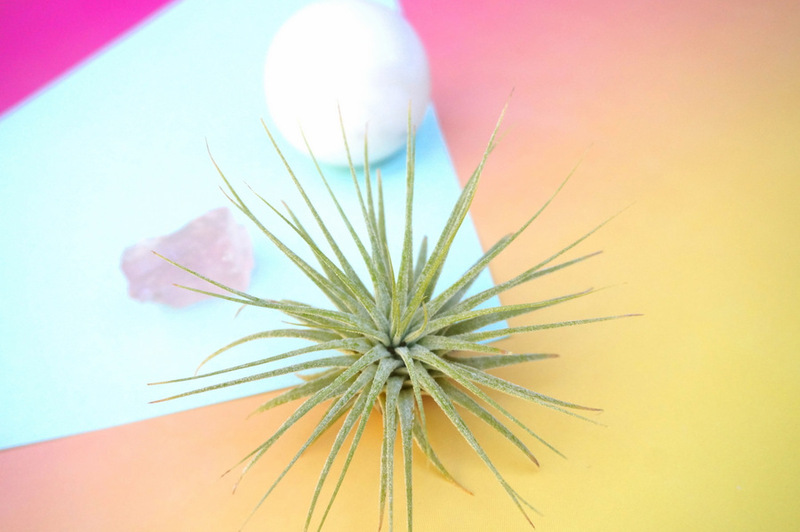 The colorful heart will be the perfect Valentine’s Day backdrop for your air plant. 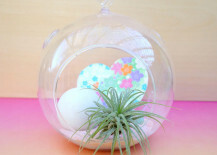 Step 4: Add your air plant, as well as the minerals and objects of your choice. 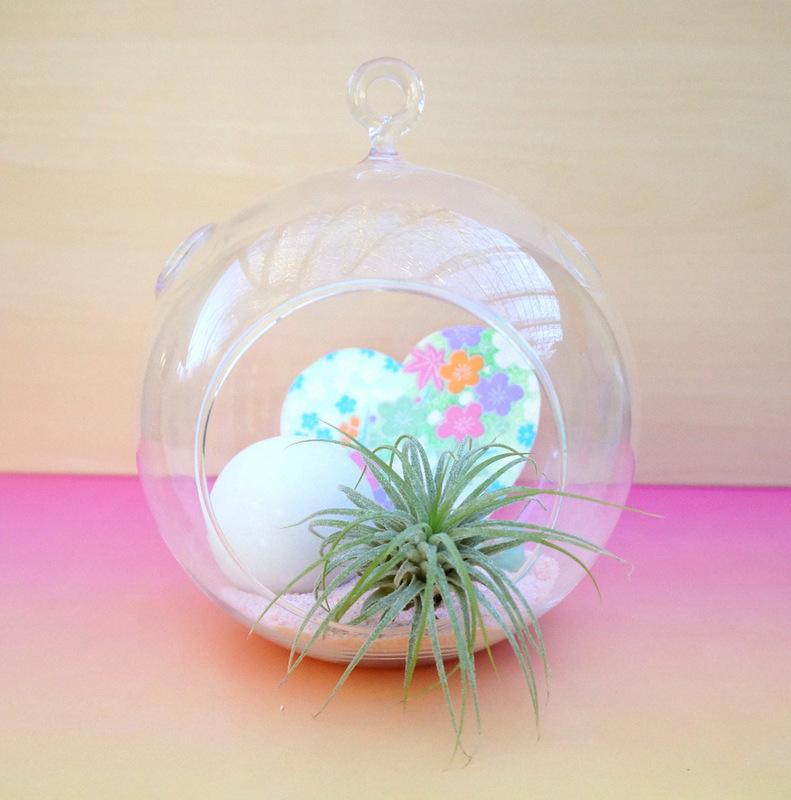 Rose quartz and marble make great additions to this terrarium. You might try visiting a flooring store and asking if you can purchase (or have) little marble tiles that have fallen from the larger sheets of tile. 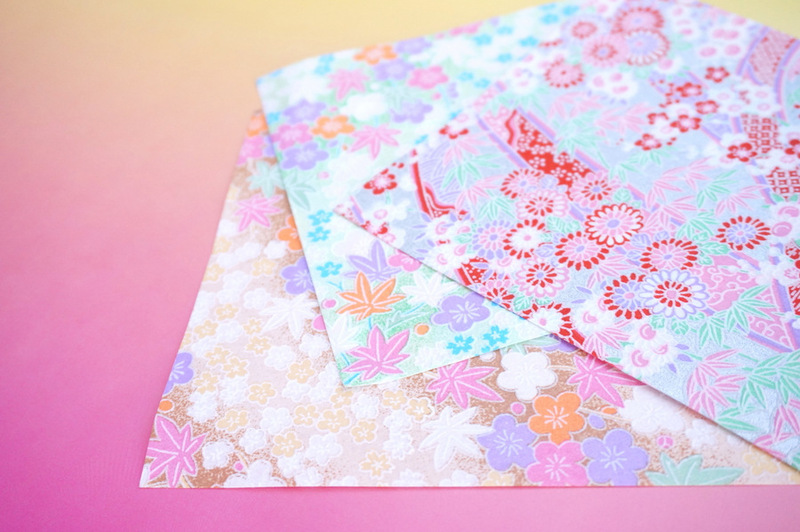 Think small squares and hexagons! 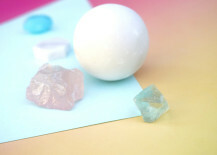 Geo objects and beads are other interesting ideas for this project. 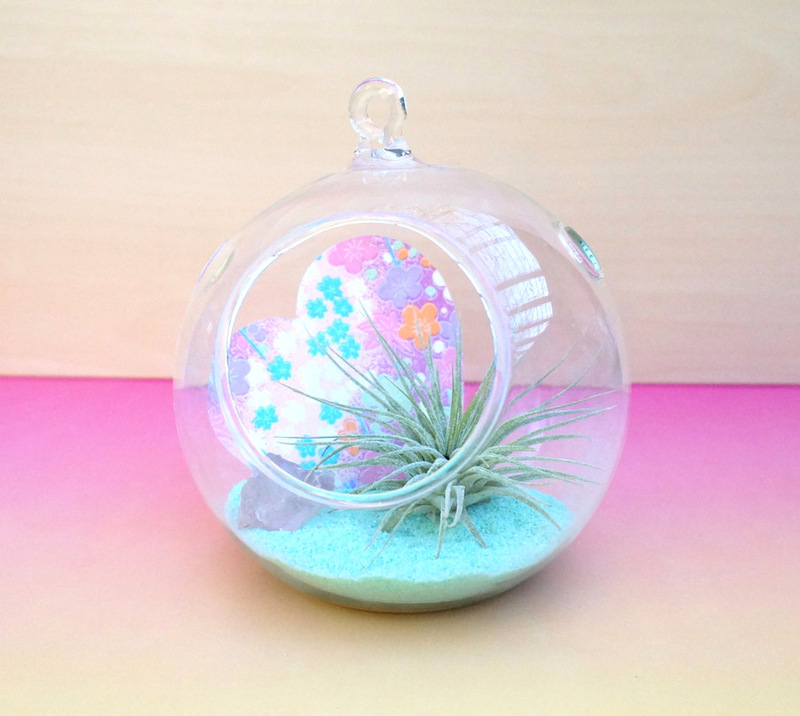 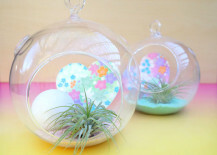 Step 5: Style your terrarium. 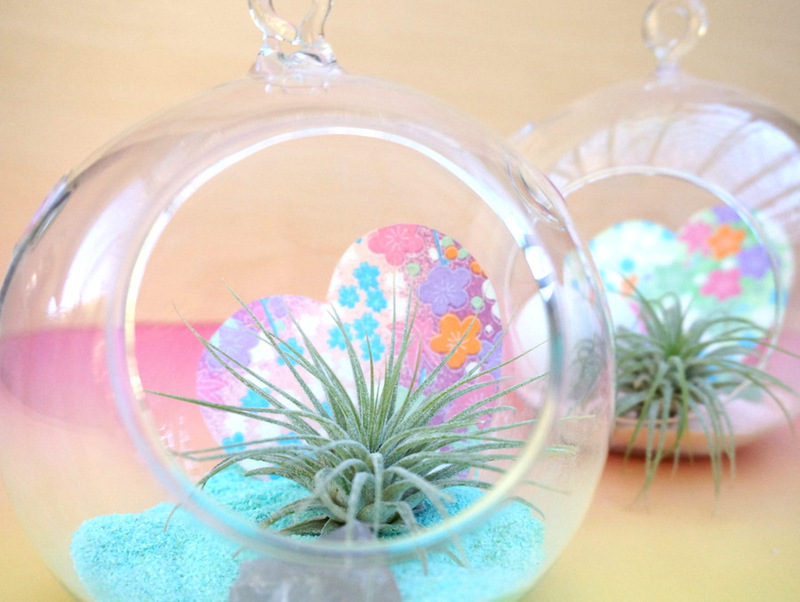 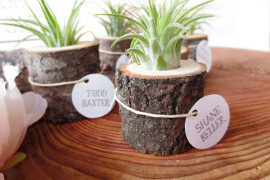 Make sure the air plant takes center stage. 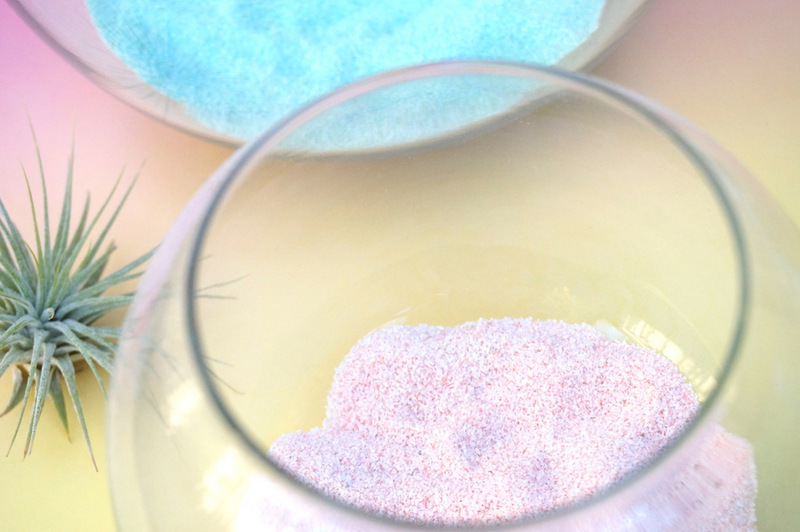 Play around with different color combinations of sand and minerals/objects until you have a finished product that you love. 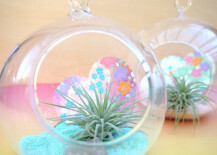 What makes this gift special is its handmade nature. 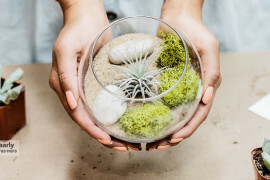 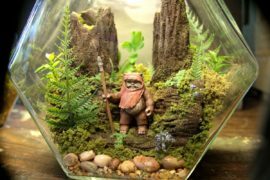 You could even make a whole batch of these terrariums for friends and loved ones, as the glass globes aren’t as pricey as you might think. 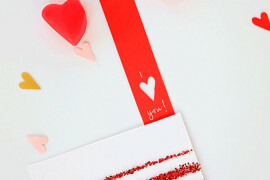 Thanks for reading, and stay tuned for more great Decoist DIY projects in 2016!